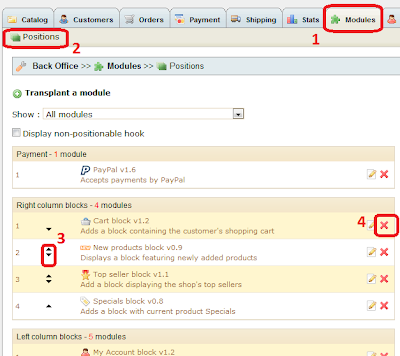 At PrestaShop, most features and functions are installed as add-on modules and they appear as blocks on page UI. 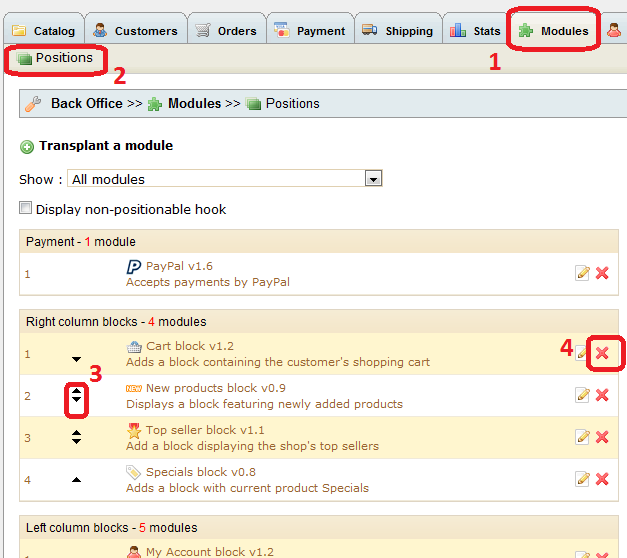 You can hide/show or change positions of those blocks at back office according to your preferences. Below is a brief instructions on how to do this. 3. Use the arrow icon to move up or down to change positions of block. 4. Click x to hide block if you want. The block are separated into different section left column blocks, right column blocks, header contents blocks and so son.